We are offering Clutch Master to our clients. 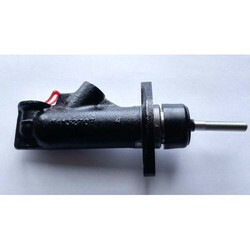 We offer high quality of Clutch-Master/Slave Cylinder Assembly. We are a leader in offering a best quality of Clutch Master to our clients. We supply clutch master cylinders in an all-plastic design. These are produced with a number of cross-sectional areas and connection geometries (eg bayonet, flange). Due to the selected combination of piston and seal materials and type of lubricant used, these components remain silent during the actuation process. 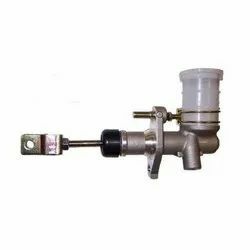 The Clutch Master Cylinder is a control device that converts a mechanical force (commonly from a driver's foot demand) into a hydraulic control pressure. This pressure is used to actuate the clutch servo, which is mounted on the gearbox and connected to the clutch lever. We have the expertise in offering a wide range of Clutch Master Cylinders which is available in various specifications detailed by our clients. These types of clutches are highly suitable for most common vehicles that use master cylinders. Also, the range is extensively used in brake and clutch systems. Not just this, we also offer OEM service of Clutch Master Cylinder to our clients.